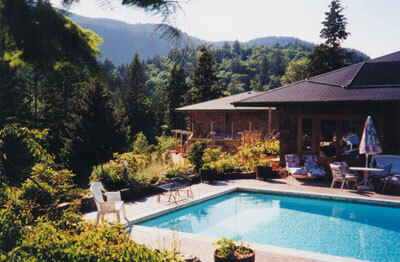 We’re a very private and confidential residential alcohol and drug rehabilitation center situated near Vancouver, British Colombia, Canada ... and offer an affordable alternative to larger US institutional-based treatment centers, with our island location enhancing the level of security and privacy our clients experience. At The Orchard Recovery Center, our counselors, support and medical staff are committed to providing each client with individual attention, care and support. Limiting our Primary Care program to 25 participants allows our medical, counseling and support staff the flexibility and time to focus on each client as an individual. Our philosophy and core belief is that addiction is a treatable disease and recovery is a process that that heals body, mind and spirit. We depart from typical institutional treatment programs and have created a "therapeutic community" made up of loving and caring sober living homes where our clients disconnect from their addictions and reconnect to a higher presence. Many of our professional staff have overcome their own addictions and have the experience of their own recovery to share. Thank you for your good and informative sites research paper approach good talented essential research paper writers articles. We must visit and follow this article, I am also using this article and visit this site day by day.